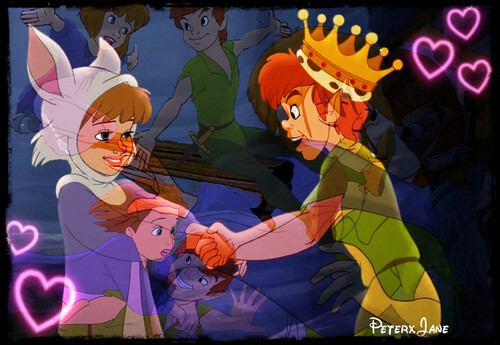 Jane and Peter. . HD Wallpaper and background images in the Young Heroines of ডিজনি club tagged: walt disney peter pan jane. This Young Heroines of ডিজনি photo contains নকল মানুষের, কমিক বই, কমিকস, and কার্টুন.